scrambled egg, cheesy goodness & loaded with bacon. Bammmm! 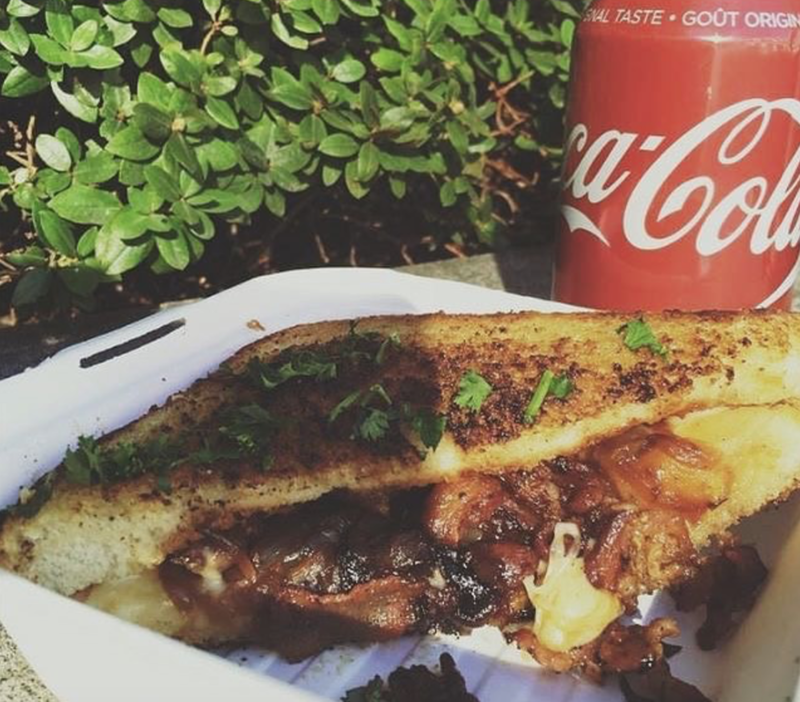 gouda, carmalized onions & maple whisky bacon. Bammm! served with bacon, onions, kielbasa & a side of sour cream. All optional of course! "The two things you can't fake are good food and good music"